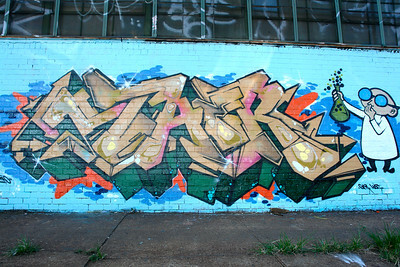 "Meres was born in the South Bronx and raised in Queens, New York. 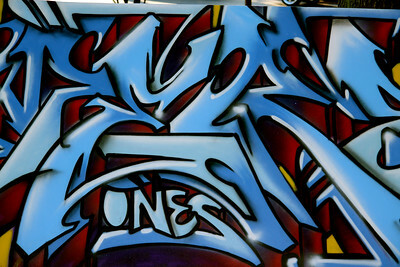 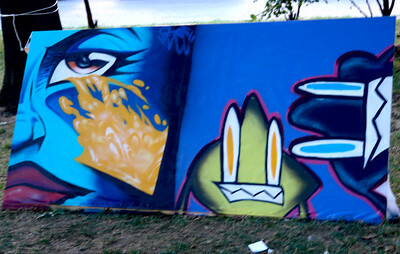 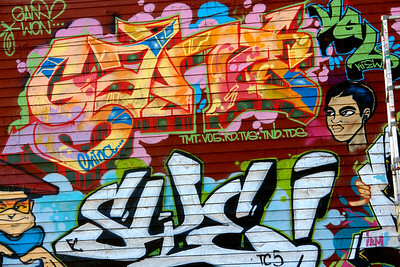 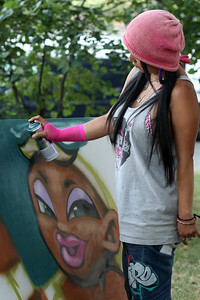 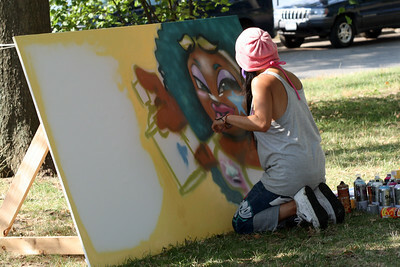 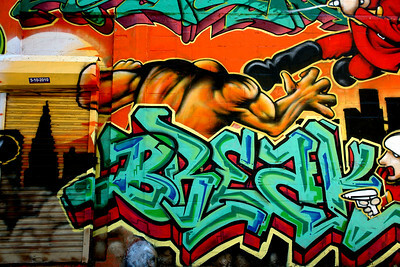 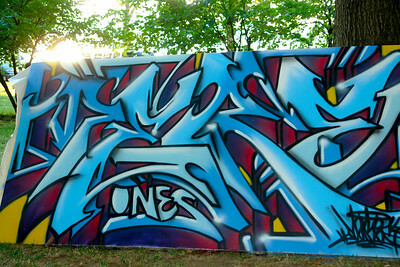 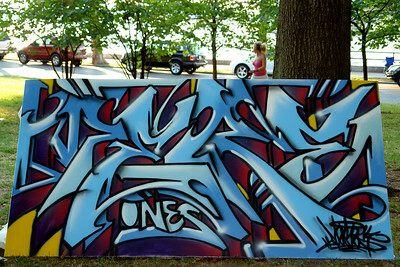 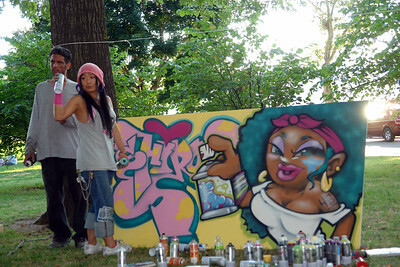 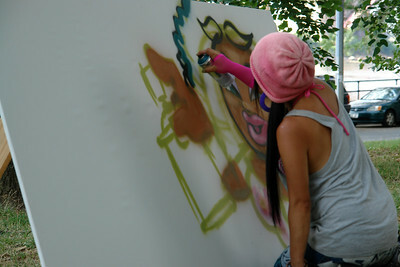 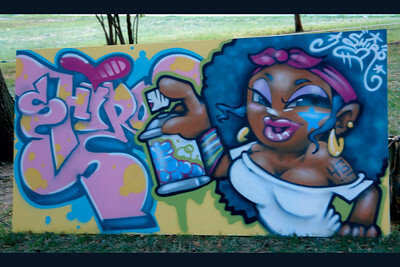 Taking on an interest in graffiti at the early age of 13, Meres developed his craft starting with tags and throw-ups. 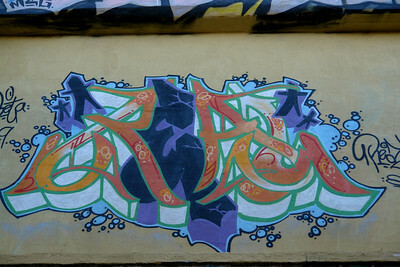 In 1991, he started TD4 (The Deadly 4mula) crew, which consisted of other artists with similar interests. 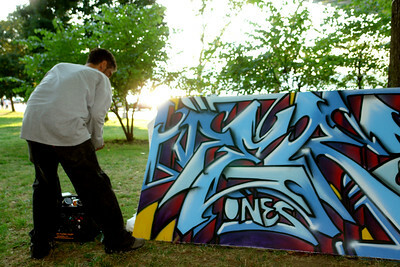 By the mid-90’s, Meres changed over to piecing. 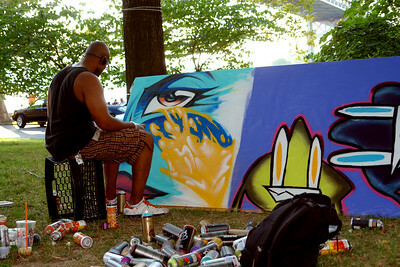 He painted hundreds of pieces in all 5 boroughs as well as Florida, Connecticut, Ohio, New Jersey, North Carolina and, Holland. 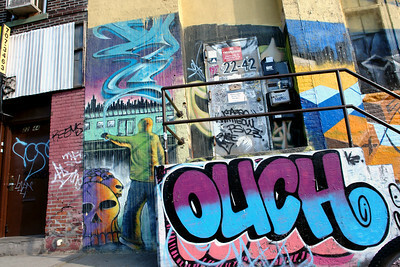 In 2001, Meres took over Phun Phactory in LIC, Queens, which had been closed for almost a year. 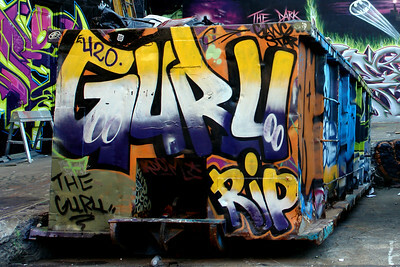 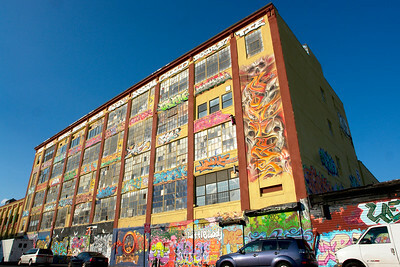 Over the course of the past 5 years Meres transformed the destroyed (tagged and vandalized) building into an outdoor museum called 5 Pointz, The Institute of Higher Burnin™. 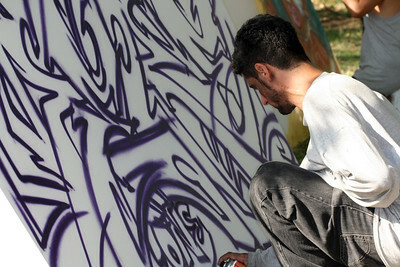 He is working towards adding on a school for aspiring aerosol writers. 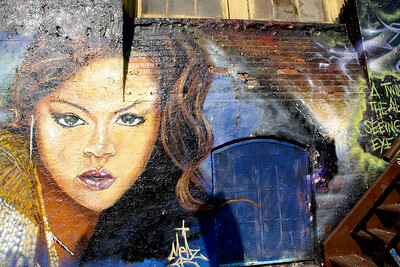 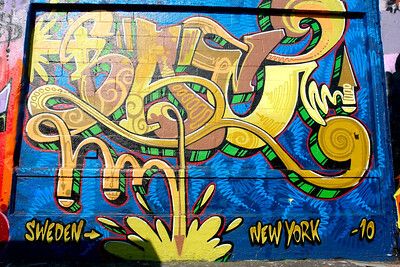 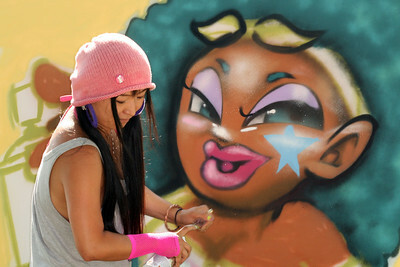 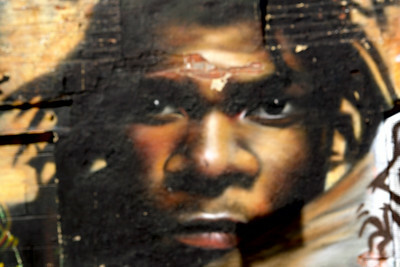 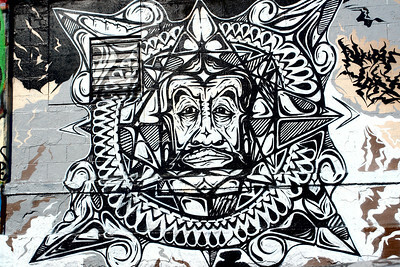 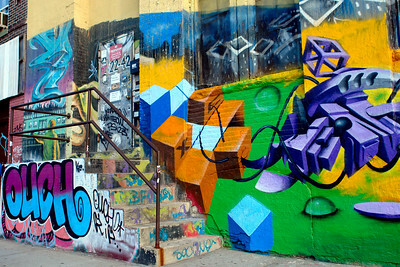 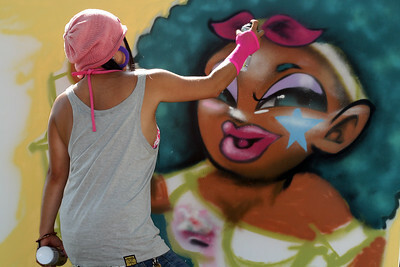 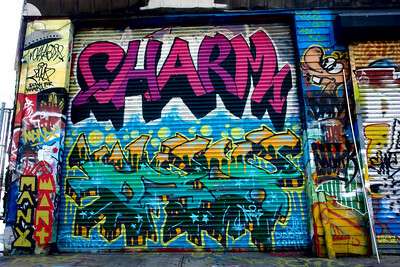 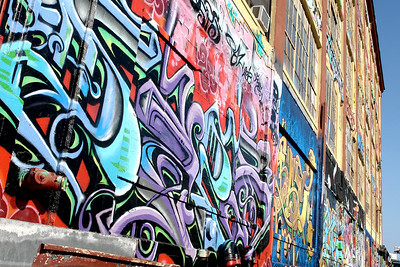 5 Pointz is visited by and caters to thousands of fans and writers from all over the world."